Freeware caution: always scan free downloads of anything for viruses and other threats before downloading the programs into your hard drive. Also, please note, these are things I use or are recommended by friends. I receive no compensation for these links. They’re really just here for your enjoyment. As we near the end of July’s Camp NaNoWriMo, the tension is mounting and panic is setting in. I have, including today, four days to write 25k. Now I’ve done it before, and I’m in the middle of an awesome writing spurt that might get me 10k more before I know it. If it were November, I’d have it in the bag. It would be post Thanksgiving with the kids desperately playing in their room as much as possible before they had to go back to school. SuperChef and I would be breathing a little easier because our favorite holiday is behind us (we always stress a fantastic dinner, and since food is kind of what he does, it’s always a bit high on the stress factor). As it stands, however, we’re in the dead middle of summer vacation, and the kids aren’t content to keep themselves occupied during my writing day. So we’ll see. I won’t give up without a fight! If you haven’t validated yet, make sure you do that from the front page of the CampNaNoWriMo site. It’s located under the blue tent on the right hand side of the page. Just click on the “Validate your word count to win” hyperlink to get in there. Paste your content and submit. You’ll have a validated word count :D. Easy. If you’re still in the heart of Camp, bookmark this page for later. Keep writing and don’t stop! This page will be here when you’re done. As I was scoping the ‘net, I came across some fabulous free stuff/sites I’d like to share with you all. Lynn is one of my heroes for many reasons. Long before Amazon offered free reads, this woman shared her worlds with us through ebooks she created. She’s an advocate of teaching and the importance of learning your craft. She’s also been my hero during two very difficult times in my life. The first was when I was in an abusive relationship I didn’t know how to get out of and the second was when I had to completely relearn how to write due to injuries I sustained in the service. Neither were high moments in my life, but both were when she stepped in to bring me up and remind me that strength is in the heart. She’s a great and wonderful woman. 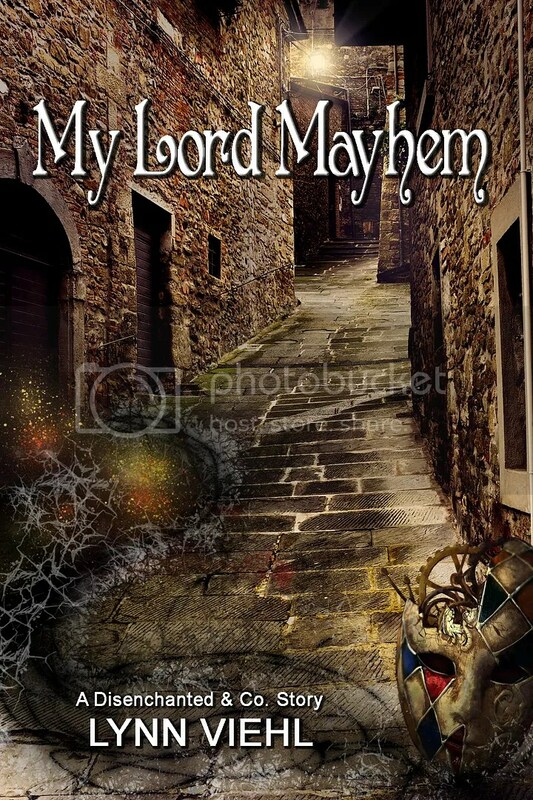 She ALSO has a fantastic free read available on her blog. It takes place in her Disenchanted & Co. world. If you like steampunk and mysteries, this is the one for you. She has tons of valuable resources on her writing blog as well and is one of the humblest NYT Bestselling Authors I’ve ever had the privilege to know. Click on the image to the left to go straight to the post that offers the ebook. While you’re there, check out her other resources. You might just find some amazing information (and definitely some fantastic writing resources and other free ebooks). When I found Zappencackler’s Pulp Sci Fi Title-o-Tron, I lost hours, I think. 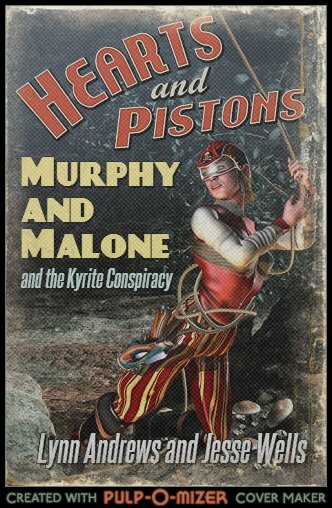 😀 And then…THEN…I found the Pulp-O-Mizer, a pulp magazine cover generator! During a particularly tough night where I couldn’t concentrate, I sat down and made this for a dear friend who is embarking on some pulp fiction fun. Check it out. As you’ve probably noticed, I enjoy making buttons and digital art. Fonts are something I can never have enough of. Urban Fonts has a ton to pick from. The download was super easy. You download the zip file. Open it. Click on the font and hit install at the top of the window. Super easy. I have trouble with my characters on occasion. Sometimes I just don’t know them very well, and, honestly, I don’t learn much from “interviewing” them or doing random Q&A. I like to have a visual and have everything one spot. If you’re having trouble finding the right words, check out Descriptive Words dot org. Why not make some Trading Cards? Print them out and put them right next to your computer or get yourself a set of trading card divider sheets for on the cheap and throw a couple of these in there. This ATC was made at Big Huge Labs using a character image. I entered the character’s name and the title of the book, and then just pasted the ABCharacter list in the description. You can make it what you want. 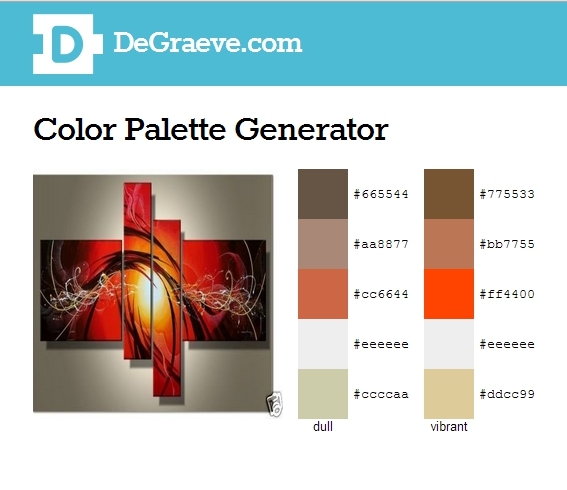 Using Degraeve’s Color Palette, you can enter the URL of a picture which represents the character. A favorite hand bag, painting, photo, whatever you think represents them. It will then show you a complete color palette based on that picture. For Erica, I found a set of paintings she’d love and want to buy when she finally gets her big break. Color has a way of breaking down a character for me. You can usually tell a lot about a person in the way they dress, the colors they wear, and the accessories they use. This is just one more tool in the character building arsenal. Well, that’s it for this round of interesting tidbits. Time for my Round of Words in 80 Days update. Spirit Lake: Spirit Lake didn’t make it far. I made zero progress on it. Voodoo Carnival: Voodoo made it 7k. I’m 3k shy of my 10k goal, but I’m still writing. All in all, I’m not super thrilled with my current word count, but I’m getting there. I would need to pull off another 25k by Wednesday to win CampNaNoWriMo. I’m not saying it’s impossible, but we are talking the middle of the summer and a house full of kids. Why did I ever think 50k would be a reachable goal during summer vacation? I could have gone with 30k and been perfectly fine. My paper calendar is an explosion of ink, random notes, passwords, odd details (like the facebook header is 851×315 px). It would be okay, I suppose, if it made sense, but the fact is I can’t tell which “Thunder and Roses is done” refers to when I typed the last word or when I sent it to my writing partner for her to do her final touches on the ms. Or when I found out I’d missed filling in part of a chapter. The reason for this is simple…I had too much other stuff written in the box. My memory is faulty about random things. Since I’m not sure when I’ll lose a bit, I write down everything. And I do mean everything. As a chronically disorganized person, this was a hard thing to train into my brain. Kait Nolan sent out a post earlier in the week about software something called Todoist. It’s a free app for just about every OS, browser, and mobile device out there. What does it do? It lets you create the “To Do” list you’d always dreamed of. In about five minutes I had my week’s list laid out, some with due dates, others without. Recurring dates handled. You set up a project and enter tasks beneath it (moving the task to the right or left as needed if it becomes a sub task in the project). If you don’t like the order, you simply drag it where you want. 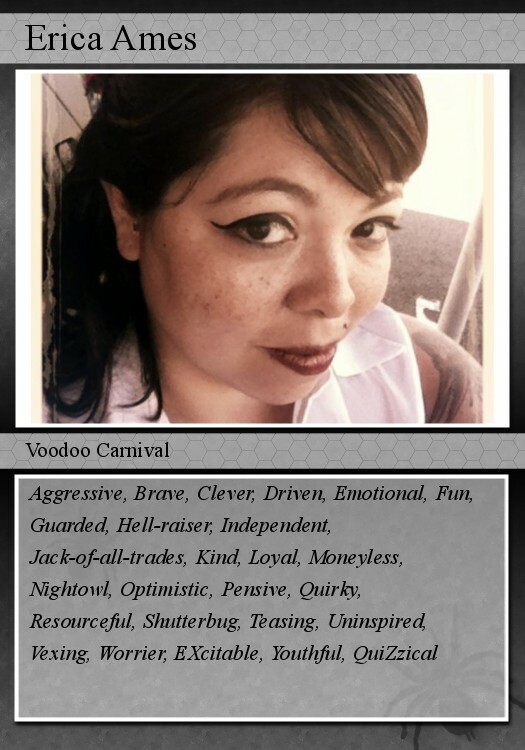 I have two active writing projects: “Thunder and Roses” and “Voodoo Carnival”. Both have open tasks. T&R’s say synopsis, blurb, formatting, and submission while Voodoo has the scenes I have to complete today. I’ll add what needs to be done tomorrow before I turn in this evening. More on that in a second. I even have the project “New Release”. Under it I have four tasks: Coverart, Release Day, Digital/Promotional Items, and Excerpts. Under Coverart, I have a list of places to put it, the size of the cover image needed to each of my sites, etc. Release Day gives a list of places I go, what I do on that day, and some other misc things I tend to forget (like ensuring Goodreads shows the information, the links to all digital locations where available,e tc). Digital/Promotion Items contain the task list of things I do (once I receive the coverart) which includes making banners for facebook, my main site, ad banners if needed, promotional ads I use, etc. Next to each digital design item, I’ve listed the dimensions. Did you know, for instance, that the facebook cover is 851×315 px? Or that the profile picture is min 180×180? This way I don’t have to check out the back of my calendar for my hastily scribbled notes. 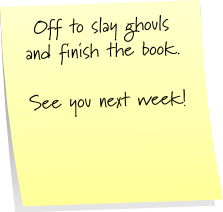 When I have a new book, I can print out the project with all its tasks and check off the boxes as I go. It comes in handy. Trust me. lol. What other ways have I used it? Last night I was almost done with a scene when I had to get some rest (I’d been up almost 24 hours). It was the old toothpicks and eyelids kind of night. So, instead of opening my calendar or using a scratch piece of paper I won’t remember look at the next day, I put in Todoist, “Finish the Carnival Entrance scene”. This morning I got up, injected some caffeine and there it was on my list of things to do today. I knew exactly where I left off without having to search for the random place I may have written it. People apparently use it for making grocery lists. You should be aware, however, that you can only have 150 active tasks open at one time. Since my New Release and Admin Day projects are ongoing, I would run out of room if I tried to use it for my grocery list. I suppose I could make a list of home staples, but it just doesn’t work for me there. Some used todoist to list their cleaning routine. Lawyers mentioned using it to keep track of lists on cases, tagging their clients last names instead of creating a new list for each person as a way to get around the 150 active tasks thing. One lady went on and on about how nice it is to have her workout list in one place. She tagged it by day of the week and main muscle group worked (abs, legs, etc). Check out the forums, man. There’s some amazing uses for this little listing dream. In thirty minutes I had my entire week laid out so I didn’t have to stress. Every day I receive an email with a list of what needs to be done as well as a graph telling me how well I completed the projects. Everything is easy to move and manipulate. Date entry is fantastic. Type in “ev day” and the list knows to set up a recurring task to send to you daily (tons of options there and the question box beside the date tells you exactly how to put down the dates you want). It’s usable with Evernote, which I love. No archive limit. Once a task is completed, it goes in the archives and doesn’t count toward your totals/lists needed. My list is available as a browser icon (right next to my amazon icon). It shows the number of currently active items on my list (8 today LOL). When I click on the box, it shows me what’s left and gives me the option of checking it off as it’s done. I won’t forget where my list is anymore. The 150 active item limit will probably be an issue at some point. I’ll figure it out when/if I reach that stage. My only issue with the date system is that you cannot create an end date for a task. For instance…I can set up a daily task under the project CampNaNoWriMo. Camp lasts from July 1-31st. I can’t end the task automatically on the 31st. So on that day, I’ll have to change the recurring date option. Overall Todoist is a shining beacon for me. I don’t have to spend thirty minutes in the morning trying to remember exactly what needs to be done, where I left off the night before, what digital design things do I need to do when I get coverart for a new book, etc. All of my lists are combined in one little program which synchronizes everywhere. If you want to add pictures and other file types (.pdf for instance), you’ll have to go pro. The list for Pro Membership ($29 a year) is pretty awesome. Receive email and text alerts within an allotted time of an appointment. You can track your productivity, create and use project templates, have the ability to use an email as a task list so you don’t lose it, back up and search your archives, etc. It can even synchronize with google calendar and outlook. You can also add notes to your tasks (to include an order in which to do it, greater detail, names of those helping, etc.). For right now free is good, but it’ll be worth it for the upgrade eventually. As NaNoWriMo has kicked off its Camp session in July, I thought I’d share a few freebies with you to help you on your writing journey. 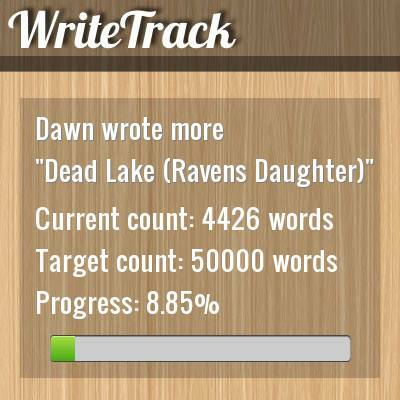 Keep track of your progress using Write Track, a facebook app which posts how you’ve done in each writing session. Luckily you can set it to private (where only you can see your updates). If you’re in a group of accountability, you can set it so that only those you choose can see it. Not a bad deal. I’ve recently started using it and it’s very simple to navigate. I came upon an error where using special characters and standard punctuation (apostrophe) caused a \ to display. My chat with tech support told me they’d work on it immediately. I was impressed. 😀 Every time you save/update in the app, it drops the current status as a photo in a Write Track album for you. This is what it looks like. 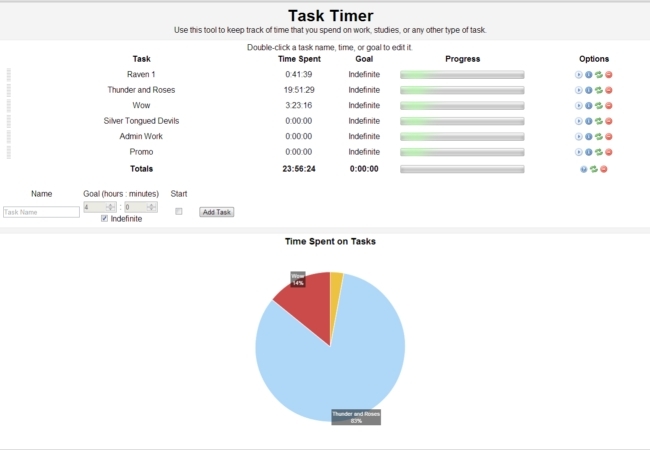 Task Timer, an app from Google Chrome shows you how much time you spend on different projects. I use it to track my week so I’ll know how much time I spend on each part of my writing day. A jpg of my current Task Timer list is below. My new work week begins on Wednesday. What you see is Wednesday through Friday and the start of my writing last night (after midnight) for Camp NaNoWriMo. I list all my common time sinks (WOW), my current wips (Silver Tongue Devils, Thunder and Roses and Raven 1), and the business side of writing (promo and admin). You can track time on any project indefinitely, but I reset mine every week. The times are jotted down in my writing calendar. You have to start and stop each event, so make sure you pay attention.